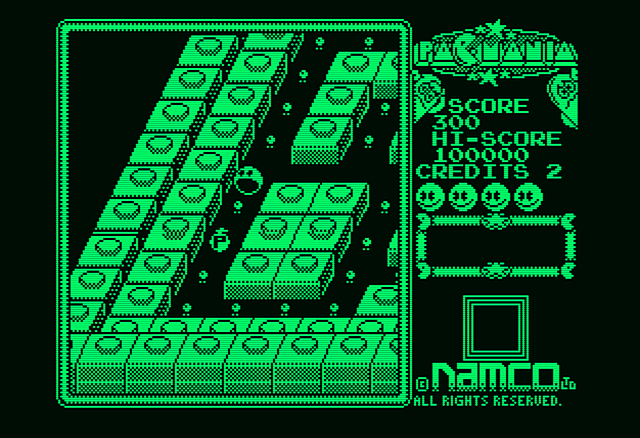 Many years ago there was an arcade sequel to Pacman called Pac-Mania which was ported over to the Amstrad CPC from the ZX Spectrum. It was a decent effort as an Arcade port and featured many of the original gameplay elements such as being able to jump over ghosts, collect pellets and power up pellets in a 3D isometric like design. What let the game down on the Amstrad was the poor graphics, lack of speed and jerky scrolling, but at least the music was good! But today's news is from Habi, as he has now done an Amstrad PCW conversion with frame skip option for better speed but lack of smoothness. As such Pac-Mania is available to download and can be used on a real Amstrad PCW or emulator such as JOYCE.